The first recorded landing of aircraft in Amarillo occurred on 27 April 1918, when two Army Signal Corps planes, commanded by a Lt. R. Gray, landed in a pasture located in the 500 block of N. Polk. They refueled at the corner of NE 4th and N. Polk, before taking off again. In 1919, pilot-mechanics Fred w. Hinds and Jack Hiller, stationed at Call Field, flew W.K. Whipple to the same pasture. Whipple met with Porter Whaley, the head of Amarillo's Board of City Development, about starting an aviation company. The result was the Panhandle Air Service and Transportation Co.
Panhandle Aerial Service and Transportation Co. was based at Amarillo's first aerodrome, Bivins Field, which started operation on 1 Jan. 1920. Located in the Bivins Addition of southwest Amarillo, the two runways now form North and South Julian Boulevard. The company was financed by H.E. Fuqua and Lee Bivins, which included building a $30,000 six-plane hangar located near 15th and Crockett. The operation eventually moved to the north of Amarillo, west of the current Ross Rogers Municipal Golf Course. In 1928, the field was renamed Bivins-English Field, when Harold English took over management. The City of Amarillo opened a municipal airport, referred to as "Old Muny" or "Old Municipal Airport", on 29 May 1929, located 4 miles west of the current Amarillo International Airport. Transcontinental air service was inaugurated here on 7 July 1929. Charles Lindbergh and wife were in attendance. Old Muny closed in 1951. Also in 1929, Bivins-English Field was relocated further 7 miles east of Amarillo on Highway 60, and renamed English Field. Amarillo Airport Corporation, formed by Harold English and Thornton Oxnard, had bought out Lee Bivins' interest. Western Air Express moved operations from Old Muny to English Field in 1930. Southern Air Transport soon followed. By 1937, TWA and Braniff were also operating from English Field. However, that winter, a fire destroyed the hangar, administration building, and cafe. Operations continued though, and English Field was rebuilt between in 1939-43, which included paved runways and taxiways when the city took over in 1941. Harold English opened English Field in 1929. That year Transcontinental & Western Air began passenger airline service to Amarillo. In 1931, Amarillo was a stop on coast-to-coast service between Los Angeles and New York City operated by Transcontinental & Western Air with Ford Trimotor aircraft. The airline's timetable stated this transcontinental flight could be accomplished in 36 hours with "overnight hotel stops" being made in each direction on a routing of Los Angeles – Kingman, Ariz. – Winslow, Ariz. – Albuquerque – Amarillo – Wichita – Kansas City – St. Louis – Indianapolis – Columbus, Ohio – Pittsburgh – Philadelphia – New York City (via Newark Airport). Transcontinental & Western Air (TWA) eventually changed its name to Trans World Airlines, which, in turn, continued to serve Amarillo for many years. In later years, Braniff International, Central Airlines and successor Frontier Airlines (1950–1986), as well as Continental Airlines began serving Amarillo. The April 1957 Official Airline Guide (OAG) lists 23 weekday departures: eleven on Braniff, eight on TWA, two on Central and two on Continental. Trans-Texas Airways (TTa, which was subsequently renamed Texas International) also then began serving the airport. Trans World Airlines operated flights to Wichita, Kansas City, St. Louis, Chicago, Albuquerque, Las Vegas, and Los Angeles. In 1960, TWA was operating all of its flights into Amarillo with Lockheed Constellation propliners. By 1961, Continental was serving the airport with British-manufactured Vickers Viscount turboprops flying Amarillo – Lubbock – Dallas Love Field as well as Amarillo – Lubbock – Midland/Odessa – San Angelo – Austin – Houston Hobby Airport service. In 1966, Braniff was operating Lockheed L-188 Electra turboprop service nonstop (and also direct via Lubbock) to Dallas Love Field, as well as direct to Denver via Colorado Springs. By 1967, Braniff in cooperation with Eastern Airlines were operating interchange thru plane Electra propjet service between Atlanta and Denver via Amarillo on a daily round trip routing of Atlanta – Birmingham – Memphis – Little Rock – Tulsa – Oklahoma City – Amarillo – Denver. Also in 1967, Central Airlines was serving Amarillo with Douglas DC-3 prop aircraft and Convair 600 turboprops on direct services to Borger, Texas, Denver, Kansas City, Liberal, Kansas, Oklahoma City, Pueblo, Colorado, Topeka and Wichita. Following its acquisition of and merger with Central, Frontier Airlines operated Convair 580 turboprops to Denver and Memphis via intermediate stops at various destinations in Colorado, Oklahoma, and Arkansas. Trans-Texas Airways began serving the airport during the mid 1960s with Convair 240 propeller aircraft flying Amarillo – Lubbock – Abilene – Austin – Houston Hobby Airport service. The first scheduled jet service into Amarillo was flown by Trans World Airlines in 1964. By 1966, TWA was serving the airport with Boeing 727-100 and Convair 880 jetliners with nonstop flights to Albuquerque and Wichita, and direct, no change of plane jet service to Kansas City, Los Angeles, New York LaGuardia Airport, Pittsburgh, St. Louis and San Francisco. In 1967, TWA was flying nonstop Boeing 727 service from Amarillo to LAX. By 1983, TWA had ceased all flights into the airport thus ending over 50 years of passenger service at Amarillo. By 1968, Braniff International had introduced jet service into the airport with Boeing 727-100 and British Aircraft Corporation BAC One-Eleven jets. At this time, Braniff was operating nonstop 727 flights to Denver and also direct to Dallas Love Field (DAL) via a stop in Lubbock in addition to flying daily nonstops to DAL with the BAC One-Eleven twin jet and also operating a daily BAC One-Eleven service on a routing of Amarillo - Oklahoma City - Tulsa - Fort Smith, AR - Little Rock - Memphis. Braniff later operated nonstop Boeing 727-100 and Boeing 727-200 flights from the airport to Dallas/Fort Worth International Airport (DFW). Continental also began jet service and in 1971 was operating Boeing 727-200 and Douglas DC-9-10 flights with routings of Amarillo - Lubbock - Dallas Love Field; Amarillo - Lubbock - Midland/Odessa-Houston Intercontinental Airport and Amarillo - Lubbock - Midland/Odessa - El Paso - Los Angeles (LAX). Continental would subsequently end its Amarillo service but would then return in 1982 when the airline merged with Texas International. By 1978, Texas International was operating Douglas DC-9-10 and McDonnell Douglas DC-9-30 jets into the airport on nonstop flights to Dallas/Fort Worth, Denver, San Antonio and Lubbock with direct one stop DC-9 service to Austin and Houston Intercontinental Airport (IAH) as well as no change of plane multi-stop flights to Corpus Christi, McAllen, TX and Beaumont/Port Arthur, TX. Also in 1978, Southwest Airlines began operating nonstop Boeing 737-200 service to Dallas Love Field. Other airlines operating mainline jet service into the airport in the past included American Airlines with Boeing 727-100, Boeing 727-200, Fokker 100 and McDonnell Douglas MD-80 nonstops to Dallas/Fort Worth, Continental Airlines (following its merger with Texas International in 1982) with Douglas DC-9-10 and McDonnell Douglas DC-9-30 nonstops to Austin and Denver as well as one stop DC-9 service to Houston Intercontinental and Delta Air Lines with Boeing 737-200 nonstops to Dallas/Fort Worth. Aspen Airways also operated jet service into Amarillo in the past with British Aerospace BAe 146-100 aircraft flying both independently and later as United Express with nonstop flights to Denver. In 1952 the airport name changed to Amarillo Air Terminal. After the adjacent Amarillo Air Force Base was deactivated in 1968 a portion became part of Amarillo Air Terminal. The primary instrument runway, built for the USAF Strategic Air Command base, at 13,502 feet (4,115 m) is among the longest commercial runways in the United States and is still used for military training. During the mid-1970s the airport was used for jet training by (then) West German national airline Deutsche Lufthansa AG. New terminal buildings were opened on 12 Sept. 1954, and 17 May 1971. By 1976, the airport had also become a Port of entry, becoming Amarillo International Airport. The original English Field terminal building was converted in 1997 to a museum maintained by the Texas Aviation Historical Society. This museum lost its lease with the City of Amarillo and is now located in buildings southeast of the main runway, formally known as Attebury Grain. The name of the original airfield is memorialized in the English Fieldhouse, a local restaurant located adjacent to the general aviation terminal. In 2003 the airport terminal building was rededicated to NASA astronaut Rick Husband, the commander of mission STS-107 of the Space Shuttle Columbia and an Amarillo native. Husband and his crew were killed when the Columbia disintegrated upon re-entry on February 1, 2003. The terminal building underwent a $52.2 million renovation that was designed by the firms Reynolds, Smith & Hills and Shiver Megert and Associates and completed in 2011. On 5 January 1959, Strategic Air Command (SAC) established the 4128th Strategic Wing at Amarillo Air Force Base assigned it to the 47th Air Division. In July 1959 the 4128th Strategic Wing was assigned to the 810th Air Division. The wing became operational on 1 February 1960 when the 718th Bombardment Squadron, consisting of 15 B-52s moved to Amarillo. On 1 July 1962 the wing was reassigned to the 22d Air Division. On 1 February 1963 the 4128th was replaced by reactivated 461st Bombardment Wing, Heavy (461st BW), which assumed its mission, personnel and equipment. The 461st Bombardment Wing was activated at Amarillo AFB on 1 Feb. 1963, absorbing the inactivated 4128th Strategic Wing. Trained to maintain heavy bombardment proficiency with the B-52, the wing maintained combat proficiency until 21 Jan. 1968, when the last B-52 was transferred. The 909th Air Refueling Squadron's KC-135s were assigned to the wing from 1 April 1963 until 25 June 1966. The wing's B-52's and crews participated in Operation Arc Light combat operations from 18 Jan. until 4 July 1967, while on a temporary duty assignment to Andersen Air Force Base. On 25 March 1968, the wing was inactivated. Wing commanders included Col. William R. Calhoun, Jr., Col. John B. Paine, Col. Charles D. Lewis, and Col. William H. Hill. Gen. William Lecel Lee served as the base commander from 1956 until 1962. On July 1, 2007 the Space Shuttle Atlantis made a stop at the airport while being transported on top of the NASA Boeing 747 Shuttle Carrier Aircraft (SCA) from Edwards Air Force Base to Florida—one of the few visits by the shuttle to a commercial airport. After a brief stay it was flown on to Offutt Air Force Base. In 2009 the airport was again used as a refueling stop by the NASA Boeing 747 SCA. On September 20, the Space Shuttle Discovery was transported from Edwards Air Force Base to the Kennedy Space Center in Florida with stops in Amarillo, Carswell Air Force Base in Ft.Worth, and Barksdale Air Force Base in Louisiana. Rick Husband Amarillo International Airport covers 3,547 acres (1,435 ha) and has two concrete runways: 4/22 is 13,502 ft × 200 ft (4,115 m × 61 m) and 13/31 is 7,901 ft × 150 ft (2,408 m × 46 m). In the year ending July 31, 2018, the airport had 68,367 aircraft operations, average 187 per day: 40% military, 37% general aviation, 11% air taxi and 12% scheduled commercial. At the time there were 45 aircraft based at this airport: 21 single-engine, 15 multi-engine, 8 jet and 1 helicopter. Leading Edge Corporation has an aircraft painting facility located on the airport; many American Airlines and United Airlines jetliners are painted there. ^ "Amarillo Globe-News". Retrieved July 15, 2017. ^ a b c d FAA Airport Master Record for AMA (Form 5010 PDF), effective Nov 10, 2016. ^ a b c d e f Eaves, Delbert (18 January 1976). "Amarillo's Air History Started 58 Years Ago". Sunday News-Globe. Retrieved 3 November 2018. ^ Archer, Jeanne; Taras, Stephanie (2009). Touching Lives: The Lasting Legacy of the Bivins Family. Tell Studios Inc. pp. 83–85. ISBN 9780974914862. ^ a b Price, Byron (1986). The Golden Spread. Windsor Publications, Inc. p. 92. ISBN 0897811836. ^ http://www.departedflights.com, Oct. 3, 1971 Continental Airlines system timetable. ^ Warnecke, Ann. "Amarillo Voices: Journal is worth much more than a thousand words - Amarillo.com - Amarillo Globe-News". amarillo.com. Archived from the original on 2015-04-14. ^ "Board asks for English Field lease extension". Amarillo Globe News. June 29, 2004. Archived from the original on September 29, 2007. ^ "Amarillo Int'l Unveils Clearly Upgraded Terminal". Archived from the original on 2014-10-07. Retrieved 2012-06-04. ^ a b 409th Technical School Squadron (1943). Amarillo Army Air Field, 409th Technical School Squadron, Army Air Forces Training Command (PDF). Baton Rouge: Army and Navy Publishing Company of Louisiana. ^ a b c d e f g h i Manning, Thomas; Ashcroft, Bruce; Emmons, Richard; Hussey, Ann; Mason, Joseph (2005). History of Air Education and Training Command, 1942-2002. Randolph AFB: Office of History and Research, Headquarters, Air Education and Training Command. p. 18,39,339. ^ a b Manning, Thomas (2005). History of Air Education and Training Command, 1942–2002. Office of History and Research, Headquarters, AETC, Randolph AFB, Texas. p. 18. ASIN B000NYX3PC. ^ "Factsheet 47 Air Division". Air Force Historical Research Agency. 10 May 2007. Archived from the original on 17 October 2012. Retrieved 17 January 2018. ^ "Factsheet 810 Strategic Aerospace Division". Air Force Historical Research Agency. 10 November 2007. Archived from the original on 30 October 2012. Retrieved 17 January 2018. ^ "Factsheet 22 Air Division". Air Force Historical Research Agency. 10 May 2007. Archived from the original on 24 October 2012. Retrieved 17 January 2018. ^ Ravenstein, Charles A. (1984). Air Force Combat Wings, Lineage & Honors Histories 1947-1977 (PDF). Office of Air Force History. pp. 255–6. ISBN 0912799129. ^ Ravenstein, Charles (1984). Air Force Combat Wings, Lineage and Honors Histories, 1947-1977 (PDF). Washington D.C.: Office of Air Force History, USAF. pp. 254–255. ISBN 0912799129. ^ "Lee, William Lecel: Papers 1927-69" (PDF). Dwight D. Eisenhower Library. Retrieved 3 November 2018. ^ Beilue, Jon Mark (2011). "Visits reminders of Amarillo's special link to NASA". amarillo.com. Amarillo Globe News. Retrieved 6 November 2018. ^ "Flight schedules and notifications". Retrieved January 4, 2019. ^ "Check Flight Schedules". Retrieved January 4, 2019. ^ "Timetable". Retrieved January 4, 2019. ^ "Route Map". Retrieved January 4, 2019. 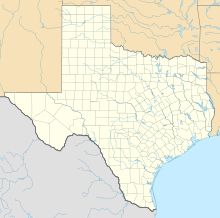 Wikimedia Commons has media related to Amarillo Air Force Base.